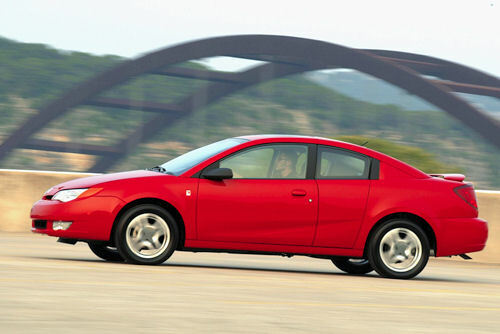 As the 2013 Specialty Equipment Market Association (SEMA) show winds down, we're taking a look back at one of the vehicles Saturn showcased at its display back in 2002: the Ion·EFX quad coupe concept. The Ion·EFX was packed with licensed performance and style accessories that were available at Saturn retailers. 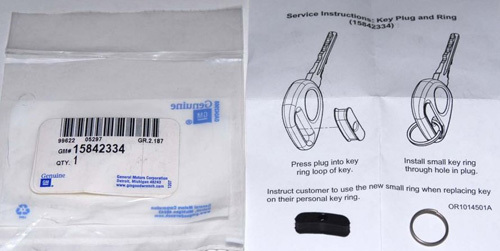 Saturn Service Parts Operations worked closely with leading aftermarket parts manufacturers who designed the accessories. 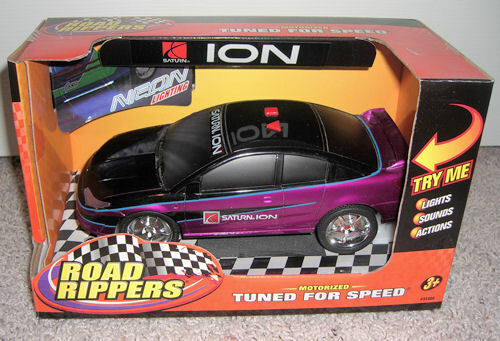 A few years ago Target sold some motorized Saturn Ion toys that were "tuned for speed." The cars were available in two colors: black/purple (pictured above) and red/black (below). On the top of each car were two buttons. Pressing the triangle caused the car to rev its engine, flash its headlamps and under-body neon lights, and finally zoom forward a few feet. The square button started a caused the car to play a catchy rhythmic tune with the lights flashing along to the beat. 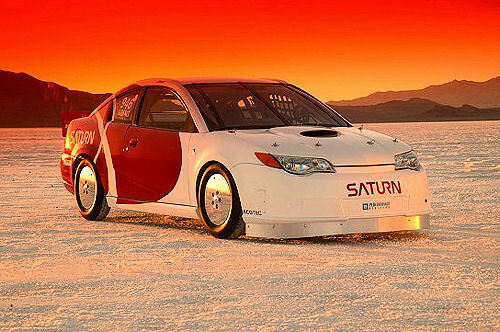 Saturn's Ion Red Line quad coupe raced into the record book at the Bonneville Salt Flats on October 17, 2003, establishing a new mark in the G/Blown Fuel Altered class at 212.684 mph. 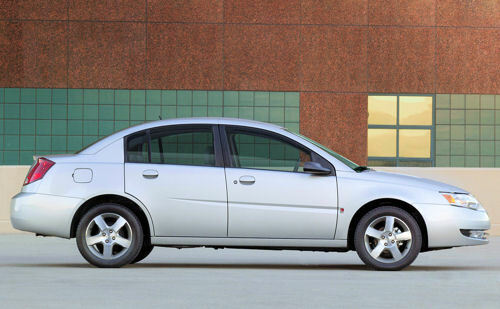 General Motors is recalling certain model year 2006 Saturn Ion vehicles originally sold in or currently registered in the states of Arizon and Nevada. 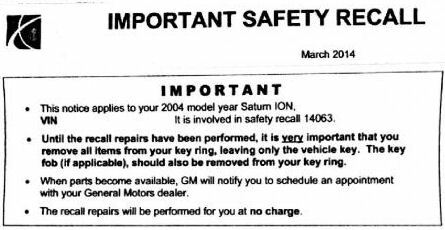 Model year 2007 Ions originally sold or currently registered in the states of Arizona, California, Florida, Nevada, and Texas are also impacted by the campaign. You may recall a couple of months ago GM had an auction, liquidating lots of classic cars. They even pulled the last built Saturn Ion out of the museum it was in to put it up for bidding. Well, this is that car. It was also featured in at least two articles on this website (here and here). 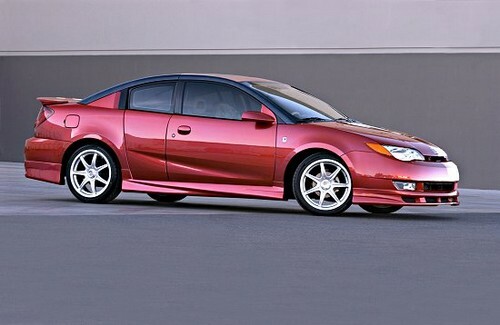 This Saturn Ion is in fantastic shape, as it was stored in a museum. It now has 2,500 miles on it.